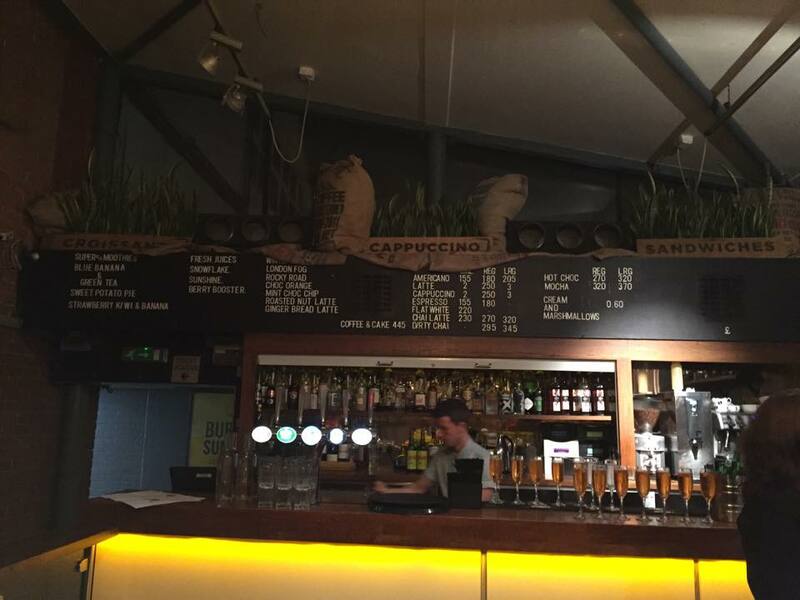 A few weeks ago, I was invited to the new menu launch at The Forum, Sheffield. I was excited to try out the interesting new menu, I had been to The Forum for drinks before but I hadn't tried the food, so I was unsure what to expect. Asian flavours aren't normally associated with burgers but the usual flavours do work really well with the taste of the orient, bringing a fresh new twist in a kind of fusion cuisine. It's refreshing to see a menu where pulled pork doesn't form the basis of every dish. 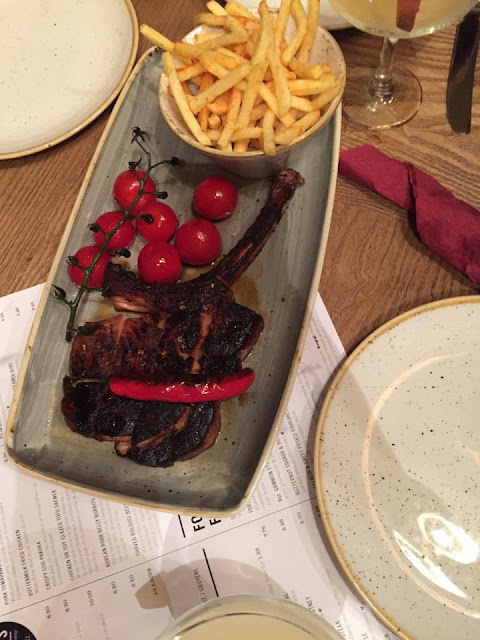 All of the ingredients at The Forum are carefully sourced and are of the best quality, which really does show through in the freshness of the dishes. The meats are all from Mr Pickles and the breads are from Seven Hills Bakery so they do try to keep things local. 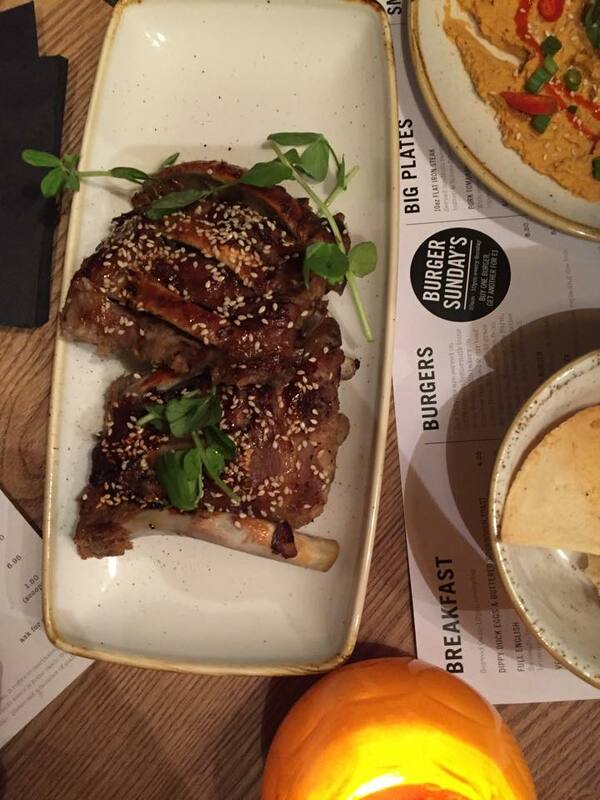 One of my favourite dishes was the Baby Back Ribs, they were super juicy, tender and full of flavour, I could have easily polished off the whole rack if I was eating it by myself. Next time I pop to The Forum, I will be making sure I order this. 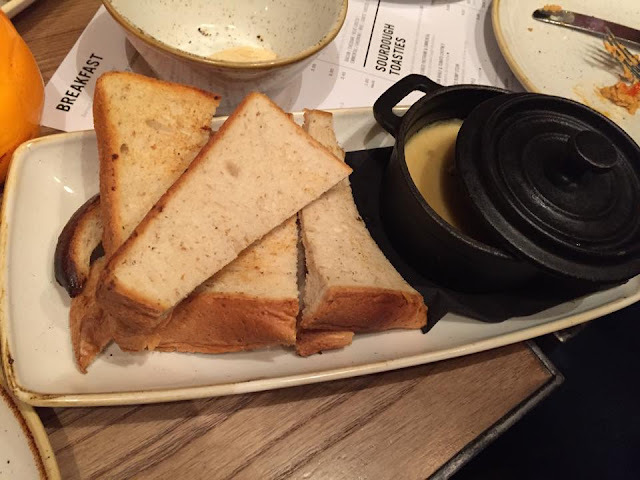 One of my favourites ingredients is CHEESE and this blue cheese fondue dish didn't disappoint, it was super creamy and went really well with the fresh bread. I think this would be great to share as a starter or to order with a few other small plates to share with friends. The dishes just kept on coming, I couldn't believe my eyes each time they brought out more and more food. I did feel a little bit full by the time the Steamed Buns arrived but they were delicious, packed full of flavour with a soft fluffy texture, they went perfectly with Pork Belly or slow cooked Beef. 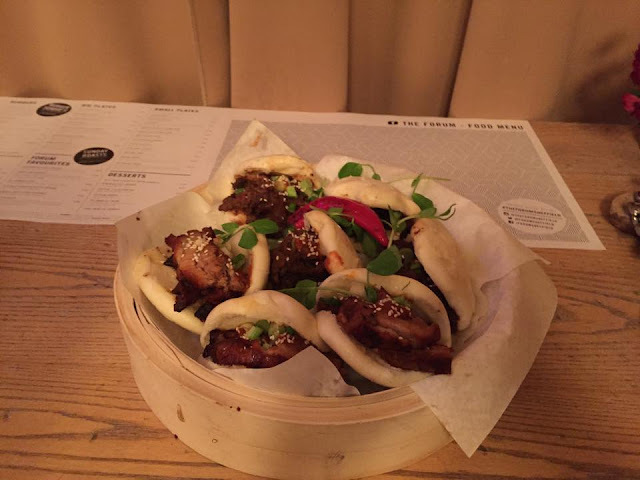 The Steam Buns are definitely a MUST try if you visit, they are super tasty and a great alternative to burgers. 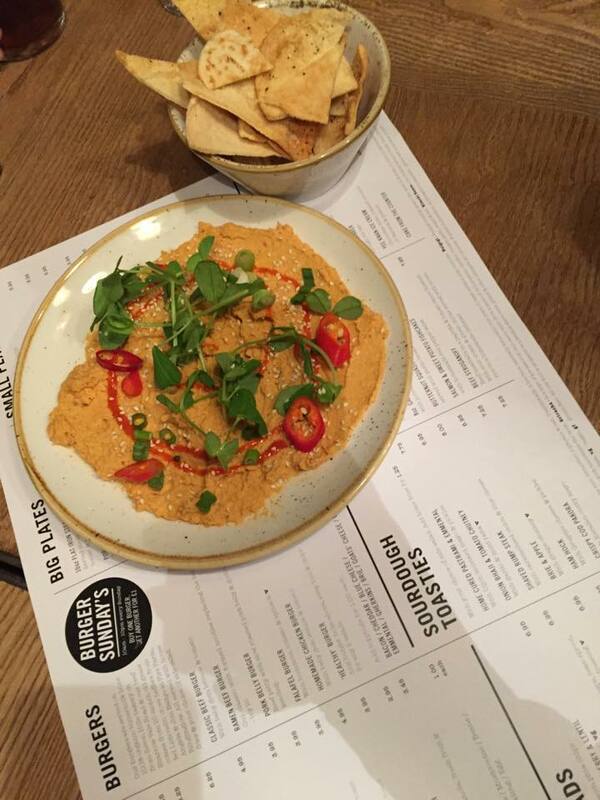 The Spicy Sriach Hummus had a little kick to it. I can sometimes be a little unsure about spicy flavours but this was only a small kick and did compliment the hummus really well as sometimes hummus can be a little bland. This would make a great snack if you were having a few cocktails or fancy sharing a starter before your main. Finally came the deserts, these were Deep Friend Korean Ice Cream Sandwiches and Rolo Brownies. The Rolo Brownie was scrumptious, it had gooey caramel bits in the middle which just melted in your mouth. 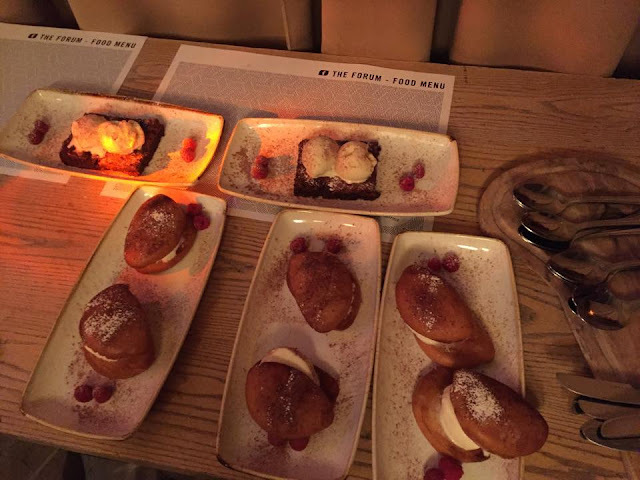 I really loved The Forum's new menu and I would recommend trying out the new Asian inspired menu if you fancy a change from your normal burger and chips. Click here to see the promotional video which was made during the night, lets see if you can spot me?